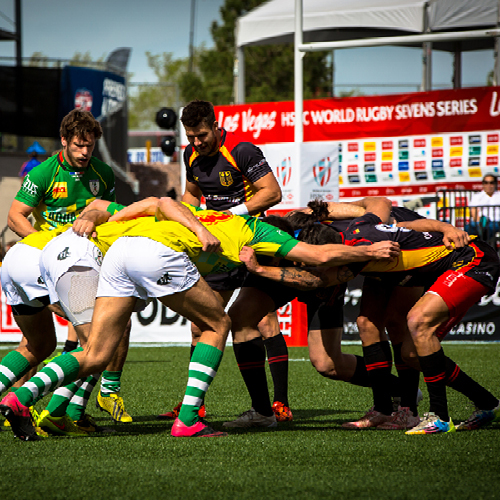 If you are looking for a way to express your inner sports fan, look no further than Las Vegas. Beyond watching The Oilers play the Vegas Golden Knights at T-Mobile Arena, check out events such as UFC, the Las Vegas Aces, NASCAR, USA Sevens, Continental Cup of Curling, Professional Bull Riders, National Hockey League Awards, National Finals Rodeo, boxing matches, the Las Vegas Aviators and NBA Summer League. And don’t miss the parties that celebrate the most anticipated championships and international events at the best sports bars and sportsbooks in town! 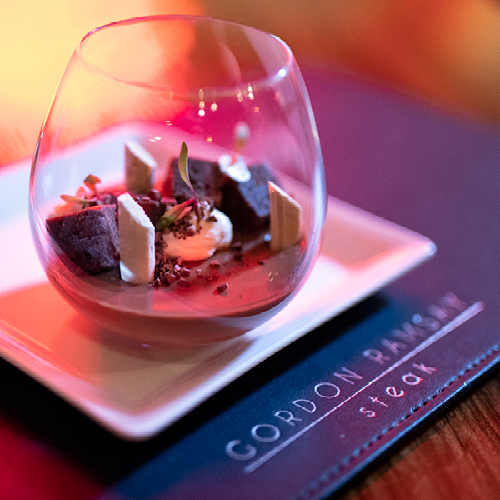 Just when you thought you couldn’t eat another bite, another amazing restaurant helmed by a venerable celebrity chef opens on or off The Strip. Make sure to stop by Roy Choi’s Best Friend at Park MGM, Gordon Ramsey’s first ever Hell’s Kitchen restaurant at Caesars Palace and Thomas Keller’s perfect Bouchon at The Venetian. And did you know that there are more master sommeliers in Las Vegas than anywhere else in North America? You know what that means, wine lists that are bigger and better, just like everything in Las Vegas. You say you like concerts, while your best friend prefers comedy. 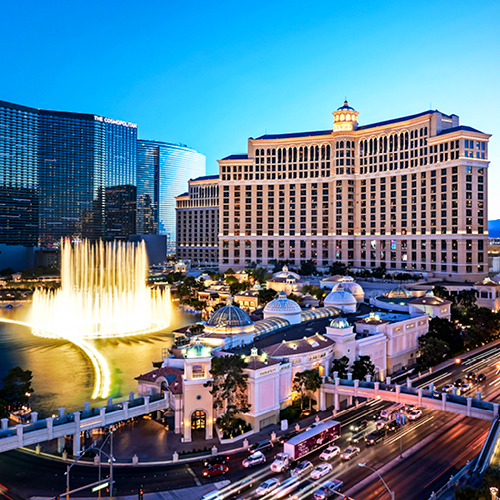 Don’t worry; Las Vegas offers more entertaining options and A-list resident performers than anywhere else on the map. Are you in the mood for a concert from world class performers like Lady Gaga, The Backstreet Boys or Lady Antebellum or magicians like Penn and Teller, Mat Franco and David Copperfield? Want to be WOWed at Rio Hotel & Casino or let loose at Magic Mike Live? Vegas has a show for you! Canadians perform night after night with six Cirque du Soleil® spectaculars to choose from. And make sure to check out Edmonton’s native son and engaging comedy hypnotist Marc Savard at Planet Hollywood. You will suspend reality and he may even make you think you’re in Vegas a little bit longer. Fly high above The LINQ and marvel at the High Roller, the world’s tallest observation wheel. Then head downtown to enjoy The Fremont Street Experience too, superhero style! If that’s not high octane enough, get behind the wheel of a race car at Exotics Racing, SpeedVegas or Dream Racing! Las Vegas is a neon kaleidoscope all night long but the ombre hues of the magnificent Red Rock Canyon and Grand Canyon give you all nature’s feels. 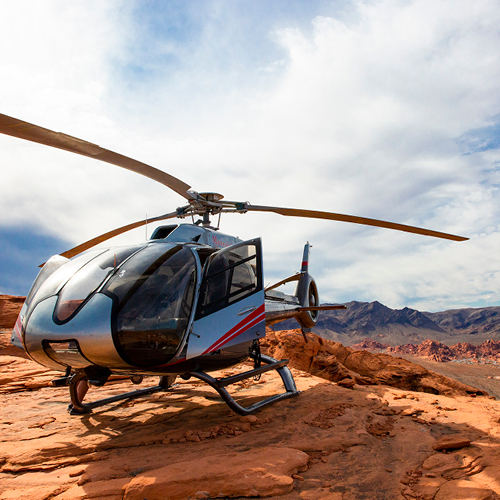 Sundance Helicopters, Maverick Helicopters and Papillon Helicopter Tours will fly you to The Grand Canyon, Hoover Dam or Red Rock Canyon – flying into the desert sunset and over the famed Las Vegas Strip. With so much to marvel at, you may not realize the free entertainment that abounds! Don’t miss the choreographed Fountains of Bellagio, the Instagram-ready murals and art installations along Fremont East, and the remarkable collection of Shelby cars at the Shelby Heritage Center. Admission? Absolutely free! While Las Vegas is relatively young, it has a unique and interesting history that is displayed in an array of glorious vintage signs at the Neon Museum. Head a few blocks away, and learn about the beginnings of Las Vegas at the Mob Museum, housed in the former Las Vegas Post office and Courthouse or visit the Atomic Testing Museum which documents the history of nuclear testing at the Nevada Test Site. 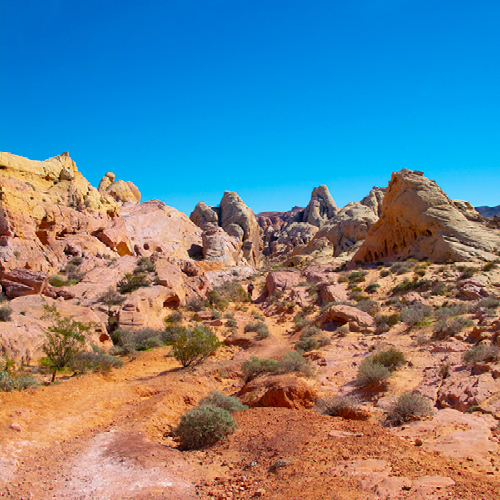 The glitz and glamour of Las Vegas is just a short drive from a variety of interesting hiking trails, historic towns and natural wonders. Discover the Pioneer Saloon – Nevada’s oldest bar, Valley of Fire with its iconic crimson rock formations, The Hoover Dam Railroad’s historic Tunnel Trails or Hemenway Park where you can see big horn sheep roam with a backdrop of beautiful Lake Mead.